Caftan Woman: Contrary to Popular Opinion blogathon: Christmas in Connecticut - Pfui! Contrary to Popular Opinion blogathon: Christmas in Connecticut - Pfui! 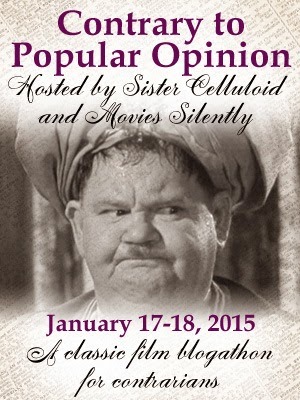 “This post is part of the Contrary to Popular Opinion Blogathon, where we set the consensus on its head by defending a maligned film, performer or director or toppling a beloved one!” Check out all the excitement, nodding sagely in agreement or shaking your fist in ire, by clicking on the banner. I love the Christmas holiday. One of the main reasons is all of the familiar old favourite movies that get dusted off and enjoyed. 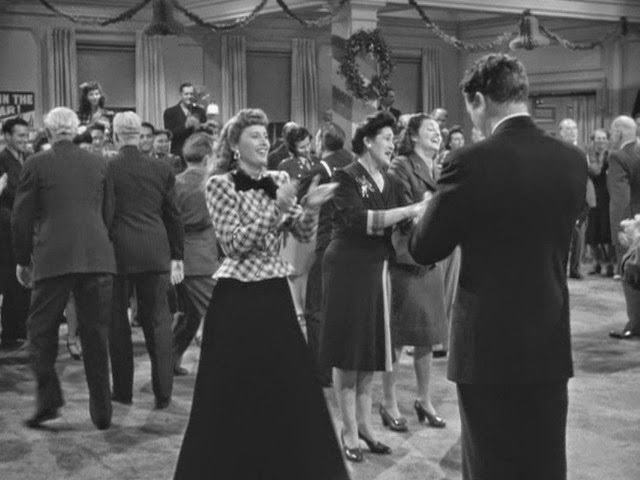 A perennial on television, and on the big screen this past season by Fathom Events, is Warner Brothers 1945 romantic comedy Christmas in Connecticut. It is not a movie that I would switch the channel to watch, let alone pay Cineplex prices to see. Christmas in Connecticut is the merry mix-up of a successful food writer who has been lying about her homemaking cred and is caught up in a publicity stunt to give a good old-fashioned Christmas on the farm to a Navy hero. Elizabeth Lane as played by Miss Barbara Stanwyck is quick-witted, ambitious and surrounded by willing accomplices in bringing to life her public persona to save her job. After all, all that's needed is a convenient house, a baby or two, and a most obliging husband and chef substitute. A lot is riding on this deception. Naturally, love blossoms between the writer and the war hero. Madcap hijinks ensue with the movie ending clinch. What's not to like? All of the ingredients are there for a good time, but Christmas in Connecticut leaves me flat. I'm not anti-romance or anti-mistaken-identity-in-a-romantic-comedy. It is a time honoured and worthy tradition in the genre, one I have enjoyed before and will again. I like babies and sleigh rides and Christmas trees and song. I like food and 1940s magazines. I'm sure I'd even like Connecticut, movie version or not, if I ever visit. Warners pulled out all the stops in casting this movie. Barbara Stanwyck is my number one all-time favourite actress. I find Stanley Morner/Dennis Morgan perpetually adorable. I have a storehouse of fond movie memories connected with Sydney Greenstreet, Reginald Gardiner, Joyce Compton and Una O'Connor. It is true that upon occasion S.Z. Sakall has been known to grate upon my frayed nerves, but then, so has my husband and I haven't kicked him to the curb. Eventually, both "Cuddles" and my hubby do something to get back into my good graces. I have over the years come up with various theories to explain my dislike of Christmas in Connecticut. The first is that it is not Remember the Night. When I was young Remember the Night would pop up on television during the holidays. Eventually, the movie faded from local television and while I forgot the title, I never forgot the film. It starred Barbara Stanwyck. There was a farm and a Christmas tree and a barn dance. It made me cry (in a good way). It was wonderful. 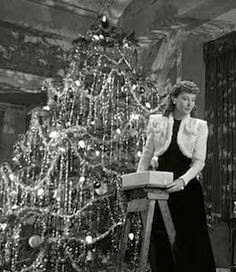 Gradually I began to notice a Stanwyck movie called Christmas in Connecticut getting air time. Christmas? Barbara Stanwyck? That must be it! Well, it had Missy and a Christmas tree and a farm and a dance, and romance, but ... it sure didn't make me cry (in that good way). Christmas in Connecticut simply left me frustrated and perturbed. Twenty years ago Universal released the Barbara Stanwyck Collection on VHS. I came across the treasure trove at Eaton's Department Store one lunch hour. Displayed in all their glory were The Lady Eve, The Great Man's Lady, Internes Can't Take Money, All I Desire and Remember the Night. Remember the Night? The title didn't ring a bell, but the artwork on the case featured Barbara Stanwyck and a Christmas tree. Could it possibly be the long lost movie of my youth? It was! After a good cry I returned that season to Christmas in Connecticut with hopes of putting the old ghosts to rest, but the nagging boredom remained giving rise to more theories. One was that I was close-minded and stubborn. I didn't particularly care for that theory and dismissed it. Another was that I had unconsciously conditioned my response in the way that I always cry at the end of Maytime or cheer when Robin Hood dispatches Sir Guy of Gisbourne. Perhaps. Recently I have begun to wonder if it is that I simply dislike these characters. We all know that liking movie characters is not a prerequisite to enjoying a movie. Aside from Det. Hill, played by Jay Adler, I don't have any particular fondness for the characters in The Big Combo, but I love that movie! However, it is certainly important to be rooting for the characters in a romantic comedy. I have yet to witness the endearing qualities that make Elizabeth Lane's confederates so eager to assist her in the big lie. Wouldn't you agree that Jefferson Jones is a bit of sneak and Sloan is blatantly opportunistic? Sydney Greenstreet as Mr. Yardley comes perilously close to falling into "Cuddles" territory. Perhaps I'm being too judgmental toward a frothy piece of cinema, but it is a frothy piece of cinema that has failed to enchant me the way it appears to have won over the masses, Fathom Events and TCM's publicity mill. 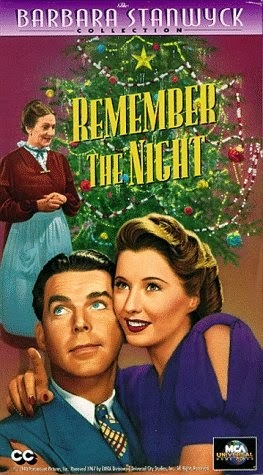 I haven't seen either of these STANWYCK films, but of the two, I think I'd rather watch Remember The Night. And you'll be a better woman for it! This February/March, tiff (Toronto International Film Festival) at the Bell Lightbox is including quite a few Barbara Stanwyck movies in their winter schedule including "Remember the Night". Can't wait to see it on the big screen. CONNECTICUT isn't terrible, but NIGHT is definitely the better movie. 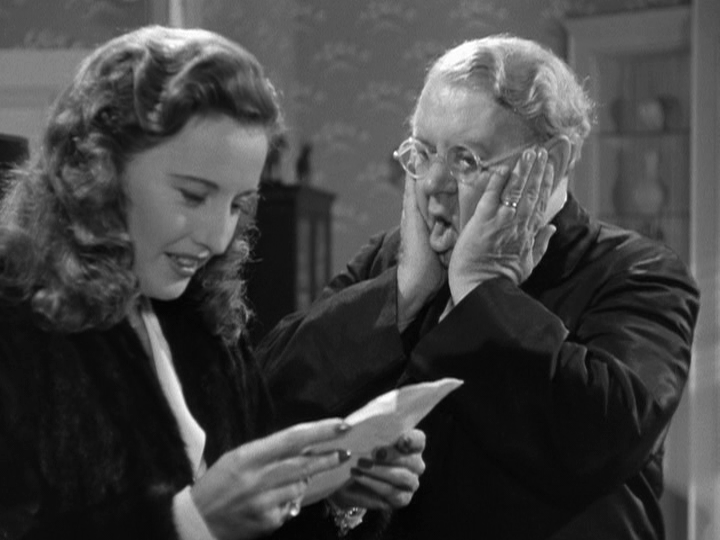 It takes a lot to make me not watch Barbara Stanwyck and "Christmas in Connecticut" has whatever it is in abundance. It's my Grinch moment. It's my pleasure to participate. I'm pleased you got a kick out of the piece. There is every reason the romance should work, but it doesn't. This is a great blogathon because I've been continually surprised by the movies people don't like. You are no exception... In fact, I think I was surprised by your choice most of all. I agree that "Remember the Night" is the superior movie, but I also love "Connecticut". However, I really enjoyed your review because, as usual, you've given me something to think about. Oh – and I LOVE your phrase "homemaking cred". In a couple of years I'll probably revisit "Connecticut" - well, maybe more than a couple. I can't see my ideas changing any time soon. I'm just glad the "Cuddles" fans aren't firing up torches. Thanks for this post—I feel pretty much the same way, and it isn't because I don't want to like the movie... This year I gave it another couple chances, even recorded it, but it feels manufactured, totally artificial to me. Great cast, okay premise, but... contrived. Movies are contrived, but they shouldn't feel contrived. Remember the Night is of another order and maybe it's not fair to expect a commercial holiday comedy to come anywhere near that sublime movie... but I honestly don't get what makes it so beloved. Maybe it will eventually get to me—sometimes I see a movie several times before it works its magic. There are actors and movies I used to hate who have become favorites in the past few years, so I can't say I'll never come around. That "what am I missing?" part is what makes certain movies keep nagging at you, and keep us giving them those extra chances. You are so right in that the contrivances shouldn't feel that way. The more organic the movie, the more pleasing the experience. CW, this is the very rare occasion where I must disagree with you. Not only is CHRISTMAS IN CONNECTICUT a favorite in my household, but we prefer it over REMEMBER THE NIGHT (which we do like, too). A little honest disagreement between friends is bound to occur. I'm glad this blogathon came about and my dirty little secret is out in the open! Agreed. I love REMEMBER THE NIGHT. Not so keen on CHRISTMAS IN CONNECTICUT. I think what gets me is that we are supposed to root for Dennis Morgan's character, but really he is being kind of a slim-ball getting cozy with a woman whom he believes is married. Can't get over that. Yep. Don't really have anybody to root for in this game. I love CONNECTICUT. I can understand why it falls flat for you, but it will always be a favorite in my house. I can't use paprika in my "Irish" stew without thinking of Uncle Felix, "NOW, it's goulash!" I cannot make pancakes without chuckling over, "I don't flip, I scoop." I think I even like that they're all opportunistic. Christmas, after all, is the season of redemption, especially for rogues. Now you've gone and given me that "what am I missing?" feeling. Maybe I'll have to give in another shot in a decade or so. Don't feel bad at all. In my opinion, a frothy bit of cinema that fails to enchant is a sad creature indeed. (You had one job, movie! One!) Thank you so much for joining in and sharing the memories! Thanks, Fritzi. This has been fun. I haven't been able to read all of the posts in the blogathon yet, but they aren't going anywhere and it quite interesting. You got more guts than I do, kiddo. This is not my favorite Christmas movie either, but I don't dislike it as much as you do perhaps because I don't have the memory link to any other Stanwyck Christmas movie. I'll have to see if I can find a copy of REMEMBER THE NIGHT (a movie I've never seen) - SHAME ON ME!! I am mad about Reginald Gardner. LOVE HIM TO PIECES, especially in THE MAN WHO CAME TO DINNER. But, I have a hard time with the idea of his wanting to marry Barbara Stanwyck and kind of, sort of, blackmailing her into it with his house in the country. Actually, I have a hard time with Gardner wanting to marry ANY woman - at least with the kind of screen persona he had. Know what I mean? While I don't mind now and again sitting through CHRISTMAS IN CONNECTICUT while munching on Christmas vitals, I do not love it as some do and I can completely understand your antipathy. :) Terrific post. I like this idea for a Blogathon. Wish I'd joined in. I feel like some sort of reformer, speaking out on behalf of those of us mildly to truly disappointed in "Christmas in Connecticut" - or at least mystified by the affection in which it is held. I wish there were some long lost film that had all the Reggies - Gardner, Denny and Owen. At times two of them have crossed paths, but never all three. Inspired choice Paddy! You know, I've watched Remember The Night and Christmas in Connecticut countless times without stopping to think if I liked them and why. They're just the movies that you watch during the festive season, right? But I must admit that Elizabeth Lane is probably my least favourite Stanwyck role, there's something about it that just doesn't work, it's just a bit too silly and lightweight. I used to feel alone, but not so much anymore. Merry Christmas! The first time I watched this movie years ago, I thought it was so funny. This year when I watched it, I kind of wondered why I like it. I totally agree with you that the characters are not all that likable or have many redeeming qualities. It has started to bother me that Reginald Gardner was flirting with a woman that he thought was married. You really have some great points. I hadn't heard of "Remember the Night". I am going to try to find that one. I probably will still watch "Christmas in Connecticut", but you definitely gave me something to think about, that I was kind of starting to feel myself. Some movies grow fonder in our estimation over time, but some just don't have the legs. I agree with you about this movie; I find it flat and uninteresting. I think for me in large part is that there's no chemistry between Stanwyck and Dennis Morgan (and I can never understand why she wouldn't choose such a suave, elegant man like Reginald Gardiner, who designs beautiful rooms to boot!). It also feels as if it's trying too hard to be cute, which puts me off. Remember the Night is a far superior film, beautifully written and acted and heartfelt. 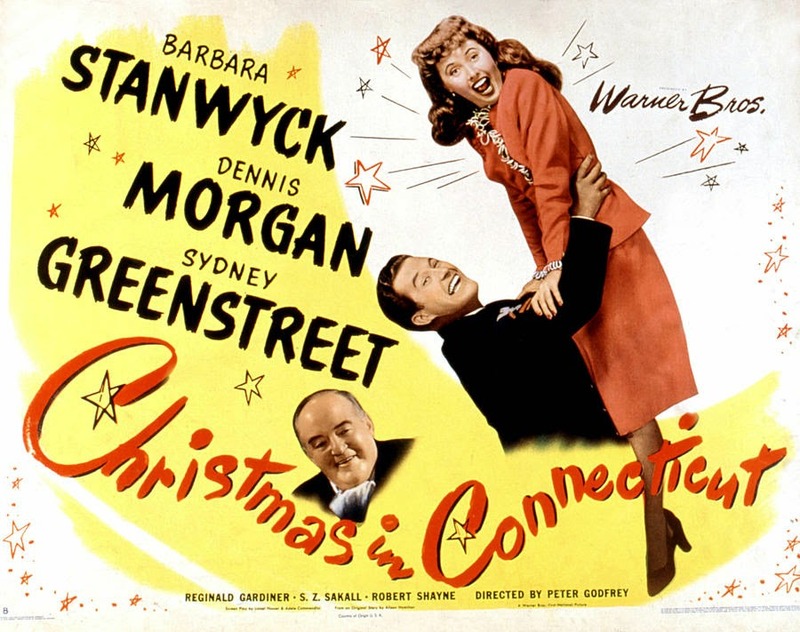 I would love a Christmas classic movie theatre event, but the selections of "Christmas in Connecticut" and the 1938 "A Christmas Carol" left me shaking my head. I guess they have their audience. To each his own, but leave me out!